Feeling overwhelmed? Join Personal Transformation Expert, Rachel O'Brien-Eddy, as she reveals the secrets to finding balance in business and life. Even the most successful people experience burnout, but you don’t have to. Discover ways to reduce stress, create healthy habits, and how to stop overcommitting. 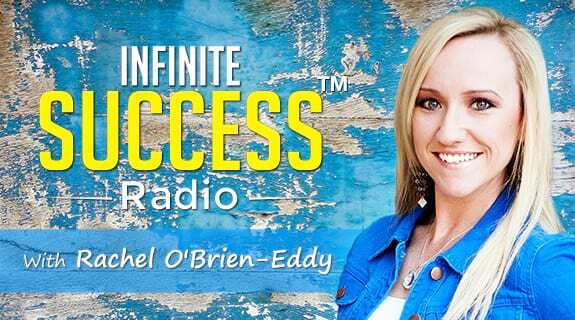 Plus, find out why identifying your priorities and values is essential to finding balance - this week on Infinite Success Radio. Have questions or ideas for the show? We’d love to hear from you! Email us at Radio@ConnectWithRachel.com.